Just like retailers decorate their stores with holiday lights, baubles, and other décor, brand managers can utilize festive colors and holiday pizzazz this season. Companies can really convey holiday cheer with minor tweaks to their existing packaging such as temporarily changing brand colors to those of the holiday season. This is a great example of a change that would be relatively inexpensive to make and there are many advantages to doing so. Think of holiday gift wrap—it’s frequently shimmery or glittery. If you want to give your packaging the appearance of a freshly wrapped present, try incorporating metallized papers or foils to create a shiny look. Either of these options can be used to create unique visual effects or patterns. You can choose the amount of foil used for enhanced areas or use a metallized stock when the coverage area is larger (as shown in the image above). 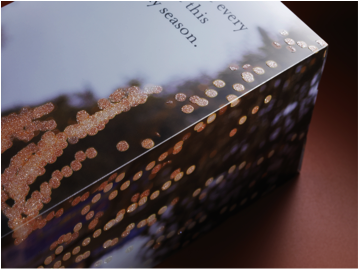 In addition to unique paper stocks and foils, specialty coatings are an option for creating a unique holiday look and feel. For example, glitter coatings can give your packaging the appearance of freshly fallen snow. 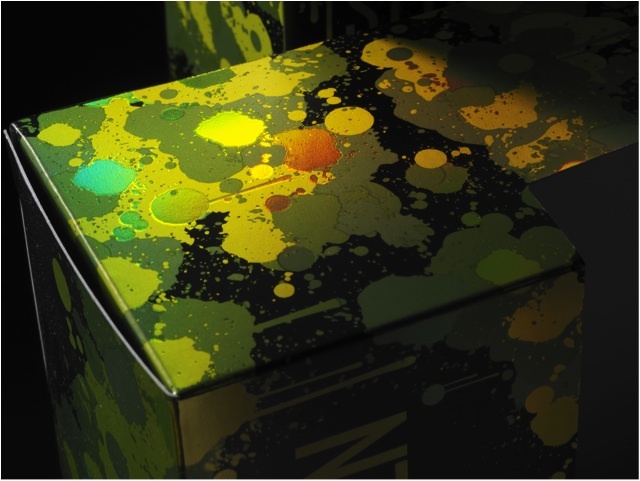 Specialty coatings are a great way to imbue your packaging with a more festive appearance without making major changes to your existing packaging strategy. 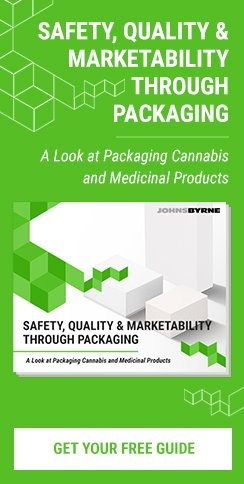 Clear plastic is a great choice for holiday packaging because it showcases the product and helps customers know exactly what they are getting. You can use text and images to convey the holiday spirit without distracting from your product by printing on clear plastic. 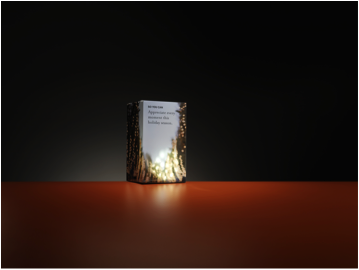 Too many effects at once may be overwhelming, so clear packaging, such as folding cartons, may be great for brands that want to take a more subtle approach to holiday packaging. Make your package look more like a gift box! This and other structures help send the holiday message to your customers. Unique structures make your product more giftable for the holidays. If your brand is looking for something that will stand out, you can experiment with structure in other ways, such as an ornament design. Utilizing different layers in your packaging through die-cutting can help you add unique shapes and cutouts to your design, such as snowflakes, ornaments, snowmen, or other winter designs. Showcase unique features while making consumers more curious about the product inside. Customers enjoy items that help them get into the holiday spirit, even when it comes to everyday purchases. 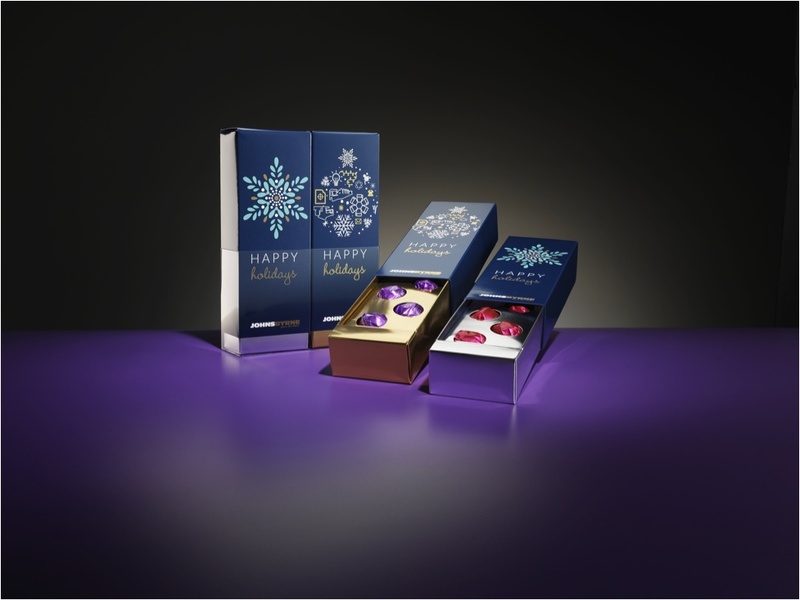 Many consumers have come to expect special packaging during the last months of the year. This may give brands a competitive advantage, especially with visually appealing designs and press effects. Consumers often see holiday packaging designs as added value because it makes products more giftable. Depending on the design, it may cut down on the amount of wrapping buyers need to do before giving the item to a loved one. It’s important to consider holiday packaging in advance. You need to consult with an expert supplier that understands how to best approach your holiday packaging needs. 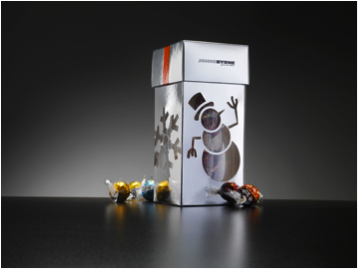 Contact JohnsByrne today to learn how to make your holiday packaging pop and impress your audience.